Last week, I posted an article on the wise men and announced via Facebook that I would not be publishing any more this week on my blog as I was exhausted from all of the demands of trying to make Christmas happen. 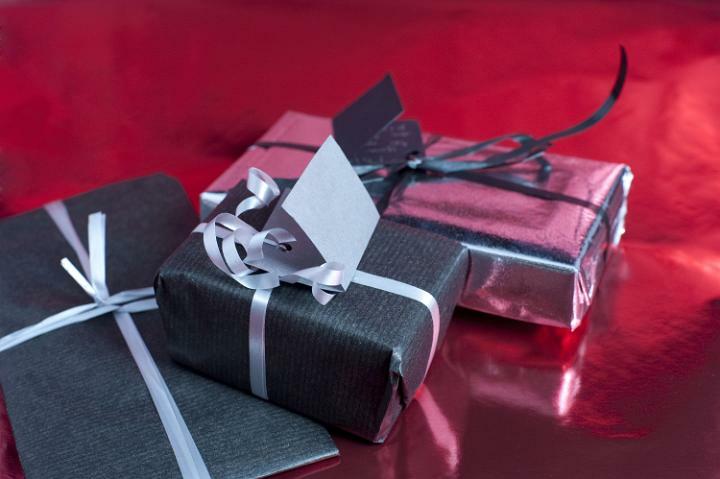 And then when a family member got sick, and I found out on the morning of Christmas Eve that I would need to step in and host Christmas day at my house, I figured that writing was out of the question — for several more days. I would be lying in a coma somewhere in my house with my children running around unsupervised, and I would need at least a week to get functional enough to write. I certainly would not be penning any holiday-themed posts again until next year. Or so I thought. As I expressed to God in my quiet time, I was just. so. tired. Falling into bed after midnight for the third night in a row feeling too worn out to string a coherent sentence together let alone a blog post, I woke up a few hours later refreshed with a list of thoughts in my head. A list of thoughts in my head about the wise men. Turns out, I wasn’t quite done writing about them. I was given a few more observations about the magi’s story that are pertinent for any time of the year that I would like to share before we move past the holiday season. 1. He speaks our language. As Matthew Henry notes in his commentary, God spoke to the wise men in a language that they could understand. They were most likely astrologers and sorcerers, well-versed in studying the heavens and reading signs. God lead them to his Son by announcing His birth with a star. He revealed Himself to them in a way that they could understand. God does that with us, too. He promises to be found by those who seek Him, and He speaks your language. He knows what exact questions and doubts you have, gifts, struggles, conflicts — He fashioned your very brain. He knows what will draw you to Him. My pastor once gave an example of when he plays hide-and-seek with his children. He knows how to hide in difficult places, but because his kids are small and give up easily if he doesn’t give them hints as to his hiding places, He lets them find Him. With God, it is the same way. He doesn’t remain hidden if we look for Him. I am a words person. I never really thought about it before, but that is how God primarily communicates to me. Through words. I sometimes get around people and have a specific word flash into my mind. I get ideas for posts throughout the day or at night, and it will just be a download of thoughts. Oftentimes, a stream of words will come to me after watching a movie or reading a book. And I know it’s from Him. Others have different ways of experiencing God. Some get pictures in their mind, or feel Him best when they are running or out in nature. There are a thousand ways God pours out Himself so we can find Him. It is because of His great love for us that He does it in a way that will communicate to us personally. 2. He chooses unlikely candidates. As I mentioned in a previous post about a widow and the prophet Elijah, God chooses unlikely candidates. The wise men were astrologers from a far away Arabian land. There were several more pious men closer to the birth place of Jesus that God could have chosen, but God instead selected these particular magi. In fact, the rather embarrassing reality is that these magicians were searching for Jesus when the Jews weren’t even looking for Him. The Jews knew of the prophecies and the predictions, and yet it was these magi that God used to follow His star to His Son. God chose not only the wise men, but some unlikely subjects in the shepherds (Luke 2:15), and Simeon and Ann (Luke 2:38) to come and celebrate his son’s birth. The fact that He selected persons from all ranks and walks of life makes one message abundantly clear: The gospel is for everyone. The gospel isn’t just for church people — it wasn’t just for Jews, His chosen people. It was for common shepherds, sorcerers — everyone. Although Christ is exclusive in the sense that He offers a narrow path of salvation — Himself — He extends this offer to all. Again, we see through his placing of the star for the wise men to find, a Creator who greatly loves His creation. Not only does He let us find Him when we are looking, He initiates the search by coming to pursue each one of us. 3. The star isn’t just for the Christmas story. I used to think that the star was just a unique feature of the Christmas story — something God deposited in His narrative to make the backdrop of his Son’s birth more beautiful; however, one thing I mentioned in my previous post and I feel is worth mentioning again is that the star didn’t just guide those men on their journey. As Henry notes, the “day-star arises in the hearts” of all who seek Him. I used to worry and sometimes do still worry that I will miss God’s will for me, but the truth is that if I am abiding in Him and walking with Him, I will know the way to go. Just like the star guided the wise men to Jesus’ home, by making Jesus at home in my heart and seeking out His guidance on a daily basis, He illuminates the way for me. Since launching a blog, I have experienced a whole lot of pressure. I have readers looking to me for new content every week and these questions fill my mind at times: What am I going to write about? How will I know what to say? Without fail, when I spend time with Him — my mind floods with inspiration related to the Bible passage or devotional I just read, or the lesson He is currently teaching me. My biggest problem is not having something to say but being diligent about writing down the thoughts when they come. When I get lazy and don’t record them — I have to ask God for them again because I can’t remember what He told me. Interestingly enough, the wise men’s star stopped once the wise men reached Herod — and they didn’t get discouraged but instead took it upon themselves to inquire about the child. And once they did, the star rose again for them. As Henry notes, if we are doing what we have in our power to do — God graciously shows us the next step and makes his star reappear when we need it (Matthew 2:9). The wise men observed the star with great joy when it showed up again (Matt. 2:10), and so it is with us on our journey with God when we are seeking answers, and He reveals what we have been seeking so we can take the next leg of the journey. Just like He was faithful about guiding the wise men to Christ, He is faithful about guiding me. A few days ago, I was flat-lined from holiday preparations. It wasn’t until God wakened me from my sleep to re-energize me and whisper His thoughts that a blog post began to take shape. Just like the wise men were happy when the star that had disappeared showed back up in the sky, I got pretty excited when God gave me fresh illumination and direction for a piece I was too weary to write. When I look for Him — He will show me the way. Some of the characters I always liked in the Christmas story were the wise men. They looked so noble and serene, calmly bearing their gifts, laying them gently before Jesus. But for the longest time, I viewed them as just miniatures in a manger scene. It wasn’t until I read T.S. Eliot’s “The Journey of the Magi” in college that I began to see the wise men as more than smiling, crowned figurines kneeling before Jesus. Although their biblical account doesn’t give many details, through some careful study of not only Eliot’s poem but Matthew 2:1 and some illumination from the Holy Spirit, I have come to see the wise men as not just nativity characters but men with a choice — a choice to go “another route” (Matthew 2:12). Several things about their story stand out to me now. 1. It takes a journey to get to Jesus. Jesus promises that those who seek Him will find Him (Matthew 7:7,8) — but getting to know Jesus takes a journey of faith, bumps and valleys, questions, doubts — and getting further and further away from the life you used to have. The assumption is that when you get saved and believe in Jesus that all the work is done. You hear that all the time. Jesus has done it all. And that is true in regards to your salvation, but in regards to sanctification, the working out of your salvation (Philippians 2:12), the process is ongoing. It takes effort to discover Jesus and really find Him on a daily basis. 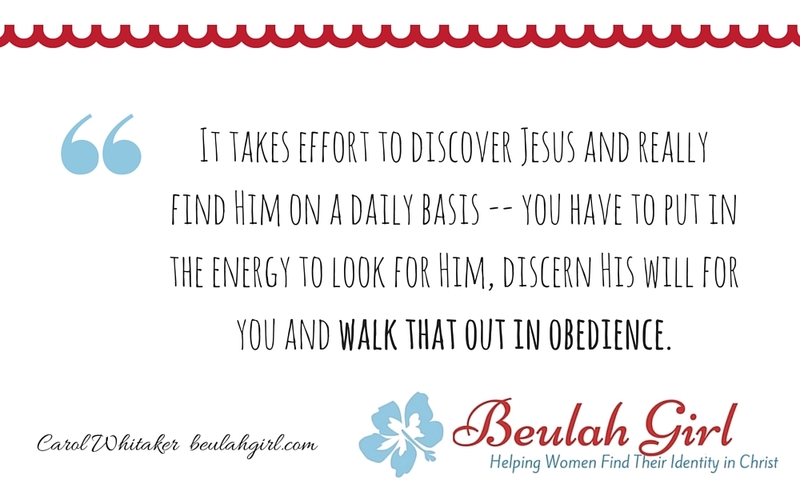 You have to put in the energy to look for Him, discern His will for you and walk that out in obedience. The wise men certainly had to put in some work: they travelled, endured the fatigue of being on the road for endless days, inquired of Jesus’ location and followed a lone star up in the sky — all at great personal cost to themselves. 2. Once you encounter Jesus, you can’t go back the way you came. Once the wise men found Jesus, they couldn’t travel the same worn paths they knew. They had to take a higher, steeper trail home. And the people around them didn’t treat them the same when they found out the identity of the king they were seeking. Herod wanted them killed. As overjoyed as they were to find Jesus, their encounter with Him actually made their way more treacherous. I was reminded of this when I heard a sermon on the wise men given last Christmas season by our senior pastor. At the time, I was struggling in my own walk of faith. God had been leading me on a journey of understanding that my issues with self-worth had me looking to the people around me for approval. So much so, that I had relied on the approval of others to an unhealthy extent, particularly my classes when I was teaching. Some previous rejection made me afraid that I wasn’t really worth it. 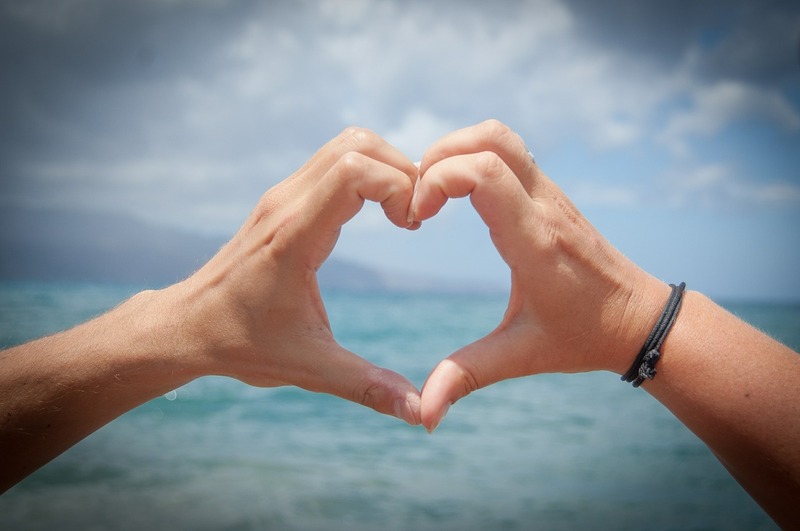 I constantly relied on the people around me to make me feel good about myself. Particularly, as a young instructor, I had a male fan club in many of my classes. 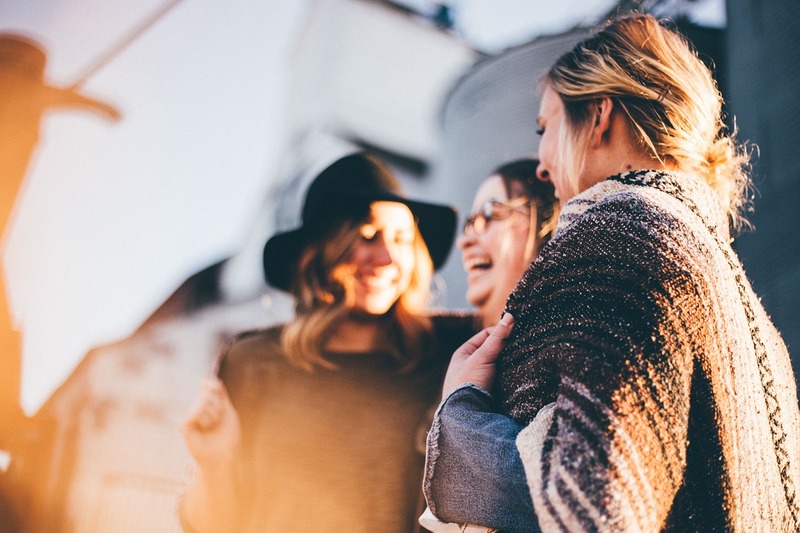 While I never entered into a relationship with a student or anything of that nature, I know that God distinctly told me that I had set the wrong example. I had encouraged that approval. He didn’t want me to get my self-worth from the wrong kinds of attention any longer. He wanted me to get it from Him. And He wanted me to go back and tell my teaching community and the families of my students the ways I was changing. He wanted me to apologize for not being the professional role model I thought I was and share my story of learning to find my identity in Him. 3. The journey is solitary. The wise men followed the star where no one was looking. According to Matthew Henry’s commentary, they arrived in Jerusalem expecting the whole world to be worshipping at Jesus’ feet and instead had to go door-to-door to inquire around quite a bit to even find Him. As Henry notes, “There arises a day-star in the hearts of those who enquire after Christ” — but it may be a very solitary quest. The star may lead to a place where no one else is going. When I got the nudge to begin calling families, I had no blue print for what I was doing. No one else I knew had ever undergone a project like that. I had no idea why I was doing it or what the purpose was other than I felt very strongly that God wanted me to go. I didn’t really get many answers until I just started making phone calls and writing emails. I felt that because it was such an individual road that there must be something wrong. Maybe I didn’t hear God right. But like the wise men, I kept getting in my heart a leading, a star to follow. I didn’t know how people would react or if they would misinterpret what I said. I knew that I would be looked at differently, my reputation jeopardized. It involved a death on my part. A surrender of my will. I was nothing short of shocked that Jesus would make me go back and do this. And that wasn’t the only hard part in my story. I had to go back to some people from my way back past. I had gotten tangled up in some unhealthy relationships as a teenager with not only guys, but girls. Again, looking for that sense of acceptance, I had gone down a path that I never thought I would. He wanted me to go back to those people too and tell them how Jesus was transforming me, admit that I had been wrong. I resisted at first and many times in the process thinking that the Jesus I knew would never lead me to do something so uncomfortable. I wanted to go into ministry but not if it involved such difficult actions. Not if it involved revealing the truth behind the glossy front I had created and my attempts at looking strong: Not if it meant revealing that I was actually weak and very flawed. A young rich man in the Bible experienced this same kind of stunned surprise when He encountered Jesus. Approaching Jesus in earnestness one day, he inquired what he could do to earn eternal life. The young man observed the commandments, met all the requirements as far as outward acts of piety. However, Jesus looked at him and detected one thing preventing him from following Him in an abandoned way: his wealth. Jesus told him to sell everything and follow him. And the young man walked away saddened because he didn’t expect Jesus to ask for that. Although Eliot’s poem takes some artistic license, we can imagine that for the wise men Jesus’ birth presented a paradox they didn’t expect — calling for a “death” of old practices and routines. The wise men were most likely astrologers, magicians. Surely, Jesus shook up their belief systems a little and made it impossible for them to cling onto their familiar ways of doing things. 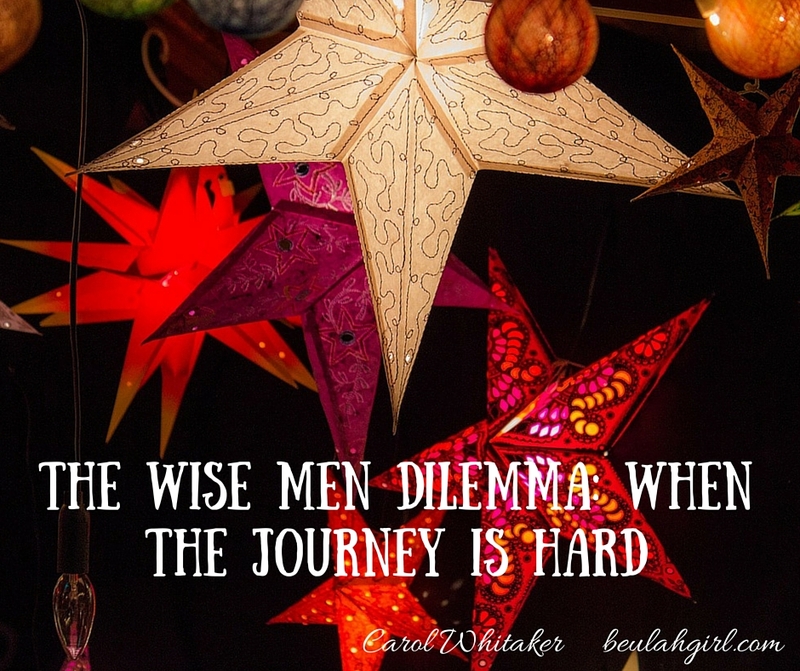 The wise men dilemma is this: When you truly encounter Jesus, you have to change. And He may be different than you ever thought. For the rich young man, he went away downcast because he was willing to observe outward forms of religion but unwilling to give what He held closest to His heart. Jesus was kind to the man. It even says in the passage that Jesus “loved the man” (Mark 10:21), but what is interesting is that Jesus did not manipulate or coerce the man into leaving his possessions and following him. When the man left, Jesus turned and made a comment to his disciples about the difficulty of getting into heaven. He knew that there would be some that would turn away. The wise men, on the other hand, heeded the warning in a dream. Instead of going back the familiar paths in which they had come, they travelled home “another route.” They understood the necessity of altering their plans upon meeting Christ. Every difficult task that comes across your path — every one that you would rather not do, that will take the most effort, cause the most pain, and be the greatest struggle — brings a blessing with it. And refusing to do it regardless of the personal cost is to miss the blessing. Every difficult stretch of road on which you see the Master’s footprints and along which He calls you to follow Him leads unquestionably to blessings. And they are blessings you will never receive unless you travel the steep and thorny path. Jesus will never make you follow Him. He will open the possibility, beckon you His way, but it will always be your choice whether you tread after His solitary star and give up whatever it is He is asking of you.